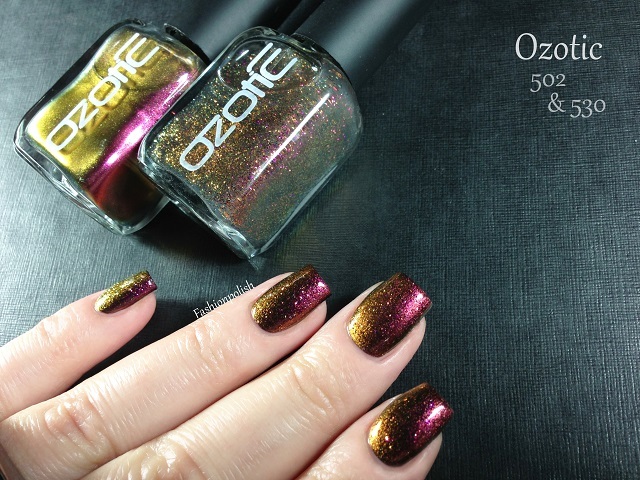 Fashion Polish: Ozotic 502 & 530 review! 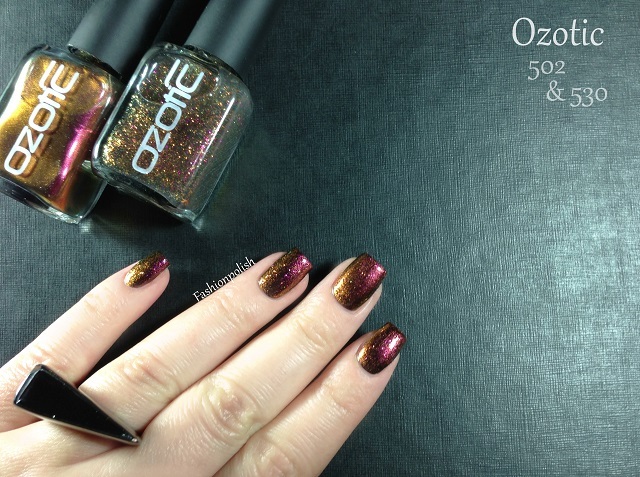 Ozotic 502 & 530 review! 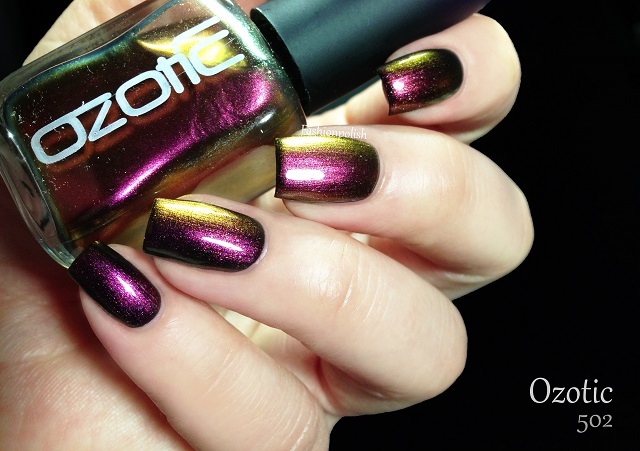 I have another Ozotic multichromilicious duo to share with you today and it's the last one involving the Elytra collection: 502 & 530! 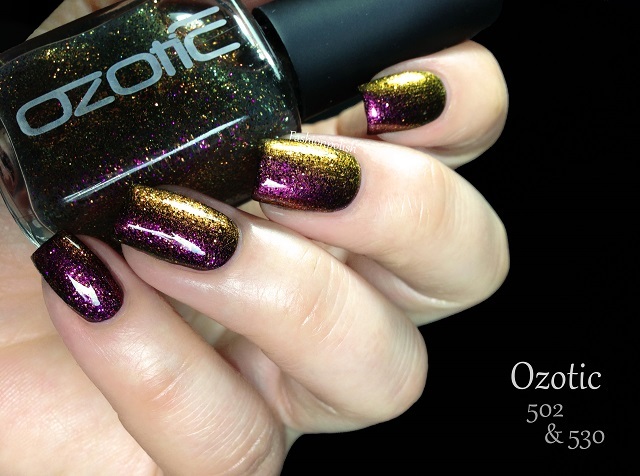 Ozotic 502 (shimmer) and 530 (glitter) are strong color shifting polishes : deep magenta base radiating a bold gold and green multichrome. I really love how saturated they are! 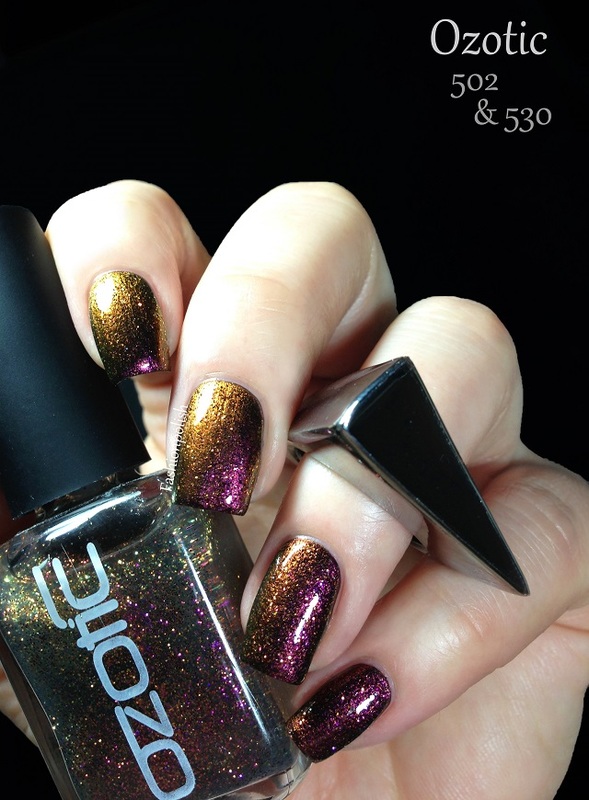 Formula was perfect on both and I only used one coat of each above black in the swatches below. Crazy multichromilicious I tell you! 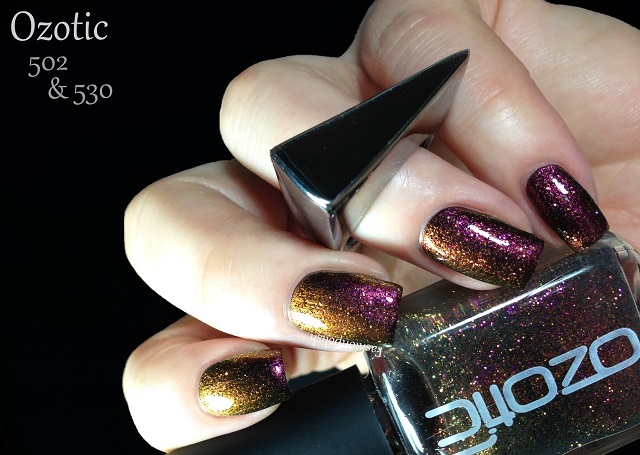 Ozotic 502 and 530 are being discontinued, as well as the entire 500 range, and are now part of the Ozotic back up plan. 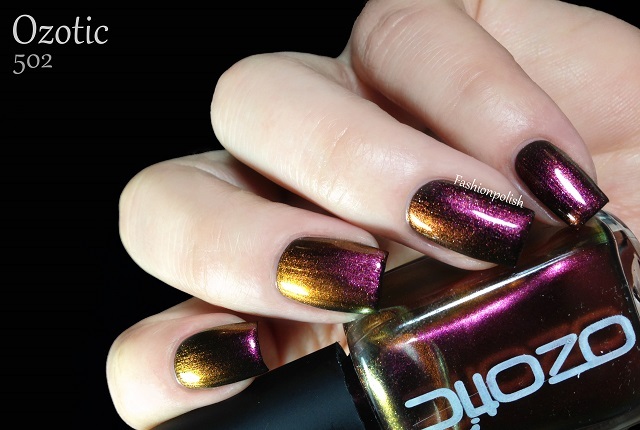 They currently retail for AU$13 (while stocks last) and can be purchased directly from piCture pOlish.com.au or through their international network. 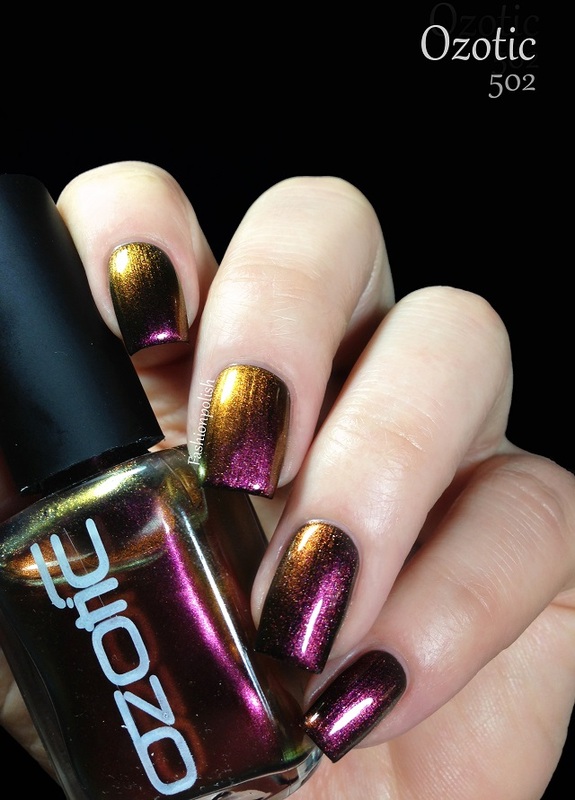 Oh my, this is so super gorgeous!! !